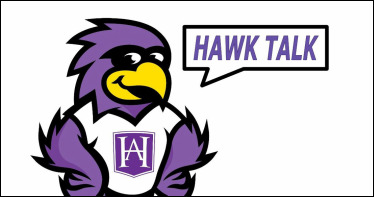 Hawk Talk is Hilburn's weekly newsletter to let you know what is going on at school. Hawk Talk is emailed to subscribers on Monday and available online. Links to Hawk Talk will appear in our social media, too. Stories are submitted to our VP of Communications for consideration. If you need to send attachments, email Dawn Vaughan, with Hawk Talk in the subject line. Enter your story for consideration. Provide: Who, What, Where, When, Why, How, and How Much. Does your story answer most of these key questions? Who: Who does your story relate to? Who should attend your event? How Much: Cost - admission price or volunteer hours?